The great news about rising prices, however, is that according to CoreLogics latest US Economic Outlook, the average American household gained over $11,000 in equity over the course of the last year, largely due to home value increases. 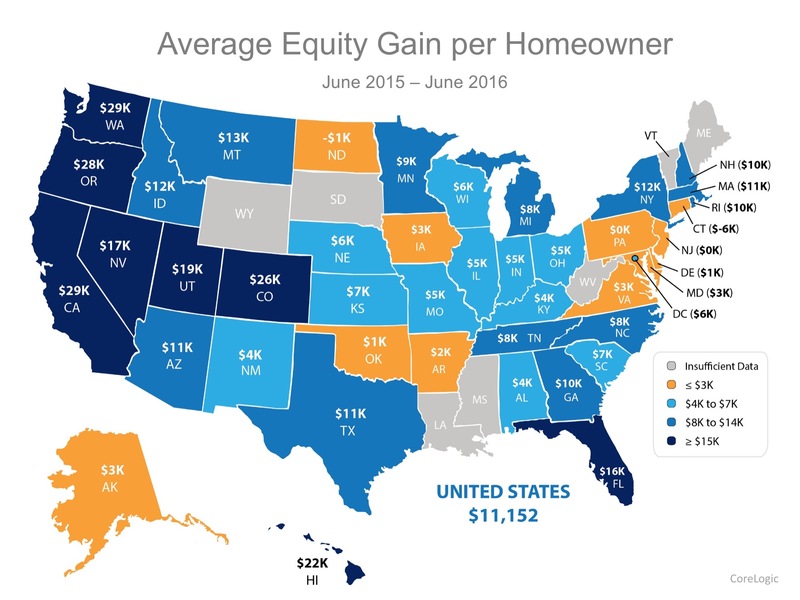 The map below was created from CoreLogics report and shows the average equity gain per mortgaged home from June 2015 to June 2016 (the latest data available). CoreLogic predicts that home prices will appreciate by another 5% by this time next year. If you are a homeowner looking to take advantage of your home equity by moving up to your dream home, lets get together to discuss your options!